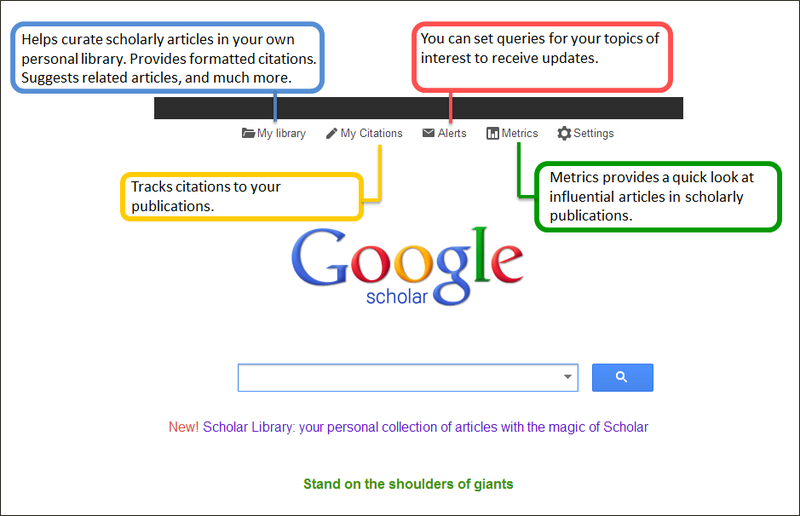 This handy tool goes searching specifically for scholarly articles for your research, classroom activity, or personal interest. “Real help from real people in real time.” This is the most amazing, recently launched, Google space for educators and learners. In this space everyone can be a teacher. And anyone can be a learner. People collaborate in real time to learn new things. Those who want to teach a subject can do so online. Share the per session rate you’d like to charge, or give out knowledge for free. Learners have a plethora of subjects and teachers to choose from. They can see the top rated teachers, take a course, and provide feedback. It would be interesting to follow how this space is used. Click the image above to go to the site. Google Sites are an easy way to set up a collaboration space for groups. These sites are easy to set up, and intuitive to use. They also have an exciting range of templates to cater to your specific needs. Classrooms / Online Learning Events: Learners can use them as editable “wikis” to collaborate and create a repository of knowledge that groups can utilize even after a course is over. Incorporating a wiki in your learning solutions can help people learn forever, and Google Sites is a cool tool to help you do just that. Projects: Project teams can easily use Google Sites to share documents, create visibility of progress, share a calendar, get project updates, and to collaborate on the project. Create a school/organizational domain, and learners will be able to access the tools via the school/organizational domain only. So these apps are a part of one umbrella, available only to the members of your domain. Have administrators who create the accounts for your school / organization. Individual students or teachers cannot create their own account. This helps you keep this space personal and private. Give a clear message to people to differentiate between a personal account (for sharing anything they like) and a school / professional account. This resource provides all that Google is doing to help teachers grow and connect better with their students. There are stories, programs, and resources for teachers, trainers, and administrators. They also have an exciting set of programs for students. So that's the list from us. Which Google tools have you found most useful for education? How have you used them to facilitate learning in your organization or school? This entry was posted in Uncategorized and tagged Edtech Google Open on December 5, 2013 by admin. At every stage of human history, societies have built elaborate mechanisms and institutions to guard knowledge. Learning has always been available only to a certain few who have had the means and access to these institutions. 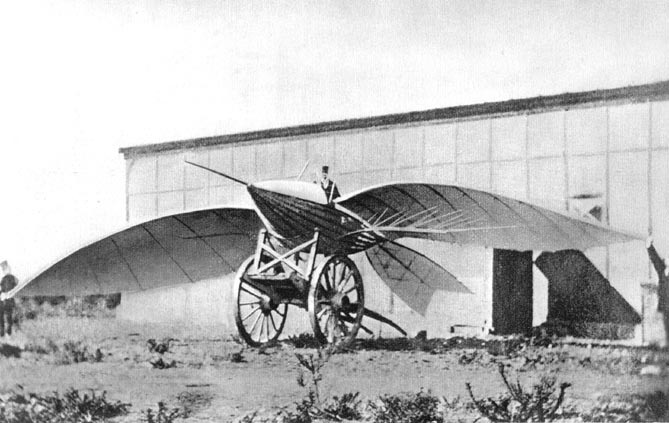 Technology, however, has been a great leveler. By altering the process of production and distribution, technology has made knowledge more available and accessible. Beginning with the invention of the printing press all the way up to Google books and the open courseware movement, technology has freed learning and knowledge. Here is a timeline that traces the key events in the development and adoption of technology in learning. 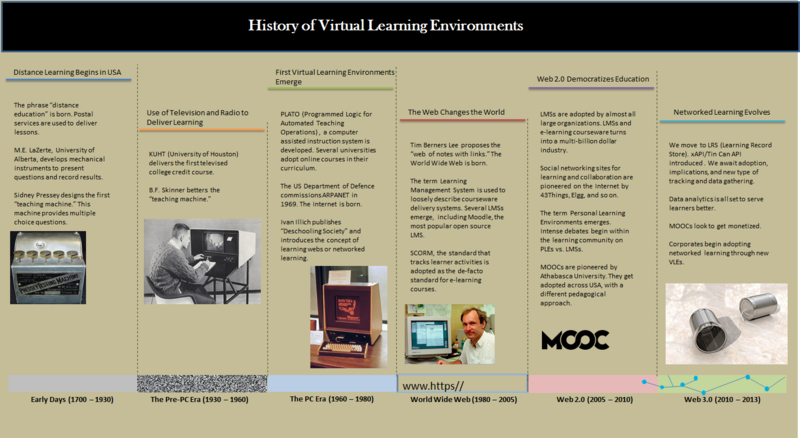 It also places the evolution of Virtual Learning Environments (VLEs) in a historical perspective. This entry was posted in Recent Thoughtstorms, Uncategorized and tagged History, Learning, Learning Management System, LMS, Virtual Learning Environment, VLE on October 5, 2013 by admin. Analogies play a bigger role in our thought process than we give them credit for. Anytime we’re faced with unprecedented situations we look for solutions by running to an unrelated experience we’ve had in the past. We may do this overtly, but most of the times it’s a hidden process. We don’t actively know the fact that we’re drawing analogies with a past situation. Well, many masters say that being actively aware of our thought process can help us harness the power of analogy, and it can also help us avoid the traps that poor analogies may lead us into. So, what is an analogy? According to Douglas Hoftstadter, an analogy is – “Perception of common essence between two things.” Hofstadter goes on to say that analogies happen inside our head. It is the connections we make between two mental representations that we project on the outside world. 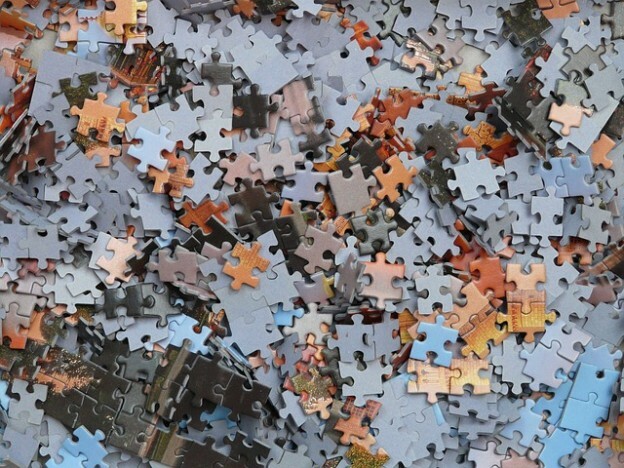 We compare the essence of one situation/person/place to another, and that is how analogies help us connect the dots to make meaning of our world. How can it help decision makers and creative thinkers at work? Analogies have the power to facilitate creative thought. You take one concept and project it to another, and so forth. This helps us think more fluidly, which in turn leads to newer ways of looking at things. Example of a creative analogy: http://www.copyblogger.com/sesame-street-blogger/ The author of this post uses Sesame Street to draw lessons for breakthrough blogging. Although Hofstadter doesn’t really associate “reasoning” with analogies, many management gurus propose that analogies do play a big role in the way decision makers and strategists operate. When we are faced with incomplete information, and unpredictable situations we make use of examples that we feel are similar to the problem at hand. For example, in the learning design space, companies often follow the analogy of IT companies for project management and development models. At Design Storm, we sometimes use the analogy of an advertising campaign to receive the brief of a problem – convert the brief to a design idea – start the creative process – promote the creative output to generate a pull with the learners. Why did these people fail so miserably? Although they drew an analogy, they never paid attention to a lot of details. How can we avoid the pitfalls of an erroneous analogy? Becoming aware of our thought process, and recognizing the fact that we’re using analogies to resolve a particular issue. That would be half the battle won. Analyzing the source of the analogy deeply, and understanding the key reasons behind why things worked in a particular situation. Not following the analogy blindly. Using other methods like deductive reasoning to arrive at conclusions. Design Storm runs an intensive one day program designed specifically to help senior management learn to use analogies for good decision making. For more information about the program, please contact us. This entry was posted in Recent Thoughtstorms, Uncategorized and tagged Analogy, Classroom, Classroom Training, Learning, Resources, Training Resources on September 4, 2013 by admin. Games have the power to help us learn about ourselves. All it requires is a little meta-cognitive thinking triggered by some Socratic questioning by a facilitator. Learners concentrate on understanding the mechanics of the game, they ask a lot of questions, and are in a state of chaos. This is the exploratory phase, where things may not be in complete order. Usually people begin to make sense of the game at this stage. In a well-design game this phase lasts a short time. By this stage learners have understood the game and are immersed in it. They team up to device strategies, brainstorm, or just simply jump into the game to try and explore. A lot of discoveries about the topics under study happen in this phase. Learners may draw upon past experiences and knowledge. Relationships among players and opponents emerge, and emotions begin to run high. The classroom’s decibel levels are very high at this stage. This phase is full of discoveries, formation of new knowledge, drawing up on past knowledge, formation of relationships, and learning through connections. This is the stage that players will usually reflect back to once the game is over. During this phase, the end goal takes over and learners concentrate on winning. This is a phase of heightened activity, where learners are in action, executing their strategies and thoughts. Competition among groups/individuals usually peaks at this stage. Teams practically apply the topics under study and they may need to rethink concepts, strategies, and previously held beliefs. Facilitators may intervene to help losing teams to understand their situation very well. This is the last phase where winners emerge, and almost all teams have an “aha” moment of discovery, either by having played the winning game or by observing other teams. This is where they start to look back at what they did during the game. Talk about what they did right or where they went wrong starts to emerge. People may try and buy more time to correct some actions. Good learning design usually helps facilitators to grab this opportunity to help learners reflect on what they actually did, and what they could have done. We usually make all our games reflection heavy, because this is where the learning becomes relevant and obvious to learners. A lot of meta-cognitive thinking helps learners reflect back on their thoughts, behaviors, strategies, misconceptions. This phase is debate and thought heavy. Learners have several “aha” moments at this stage too and realization dawns on them about their own and their team’s actions. This is where a large part of the learning takes place. This is an extension of the reflection phase where facilitators help learners connect their learning to real life situations, their job, and the tasks they perform. Extension to real life and formation of connections with other things helps learners imbibe the concepts taught and take the learning with them forever. This entry was posted in Recent Thoughtstorms, Uncategorized and tagged Classroom, Games, Gamification, Training on August 5, 2013 by admin. I came across this test in Malcolm Gladwell's book, "Blink," and it was an eye-opener. Most of us are biased, and as this site explains, we may not even be aware of it. Just becoming alert towards our biases may help us avoid them while assessing performance. Many times we get so carried away by our perceptions that we don't look for enough evidence of performance or the lack of it. We're too quick to jump to conclusions. 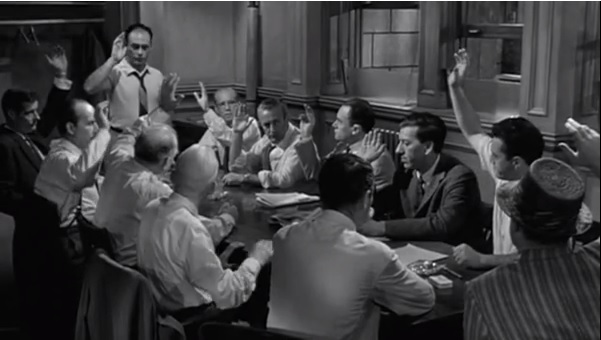 The film‚ "12 Angry Men‚" is an intense watch that sensitizes the mind to look for facts. At some level, it even reminds me of an appraisal discussion where we take decisions that affect people's careers. The film (1 hour 52 minutes) tells us to state facts and to provide evidence for every definitive statement we make about a person's performance. While we don't need to be super sleuths, we do need to observe to be able to gather appropriate facts. Give people their due. Avoid political appraisal of people's performance. In this candid address (7 minutes), Carl Icahn brings out the common culture and politics that surround promotions in our organizations. He gives a funny analogy of anti-darwinian organizations that promote talent that is weaker and weaker. We must double check for such effects on our feedback and assessment ratings. While these resrouces opened my mind towards performance assessment, you can also use them in workshops to help executives become better performance and talent assessors. So have fun assessing people, and keep that devil in check. This entry was posted in Recent Thoughtstorms, Uncategorized and tagged Assessment, Bias, Objective Assessment, Performance Assessment, Training Resources on July 29, 2013 by admin. Each student took turns to aim at the parrot.One student said, “I see the sky, the tree, and the parrot.” One student said, “I see the sky, the tree, and the parrot.” Another one said, “I see the beautiful tree, the fruit on the tree, and the parrot.” Listening to their responses, the teacher didn’t allow any student to shoot the parrot. 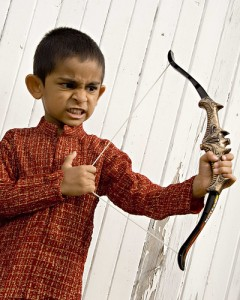 After many students had tried and had not been allowed to shoot, one student called Arjuna, finally said, “I can only see the eye of the parrot.” This student was allowed to take an aim, and he managed to bring the parrot down. ​When I was a child, this story inspired awe, and spoke of focus and observation to me. Now, in the context of learning, it brings forth a few new things to my mind. The tools of bow and arrow, and repetitive practice could have made the boys good archers. However, the teacher helped them construct the meaning of the terms, “focus” and “observation” on their own. What were the components of this experience? What is interesting to observe is the dynamic interplay of these components, which leads to a constructivist learning environment. It is very important to understand the story from ​the perspective of the children who did not get the right answer. How did they react? What did they learn out of this experience? Did they learn the meaning of the term, “focus?” Well, as the story goes, all students of this teacher became accomplished warriors in the epic tale of Mahabharata. Another essential aspect of this story is the “story” itself. 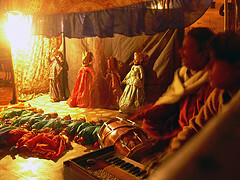 It’s a part of the oral tradition, and usually, the way it is told brings back the experience of Arjuna to each child. A child in India who has not received formal education also gets to hear this story (and many more) through their parents, grandparents, or through travelling storytellers. ​Stories have the power to transcend time, space, and literacy barriers. They can travel from one end of the nation to another in such a viral fashion that education can almost ride its way to Indian villages through them. Many artists/students take messages to the masses by performing stories on the streets. Some other examples of these travelling storytellers are the nautanki, the jatra, and the phad. 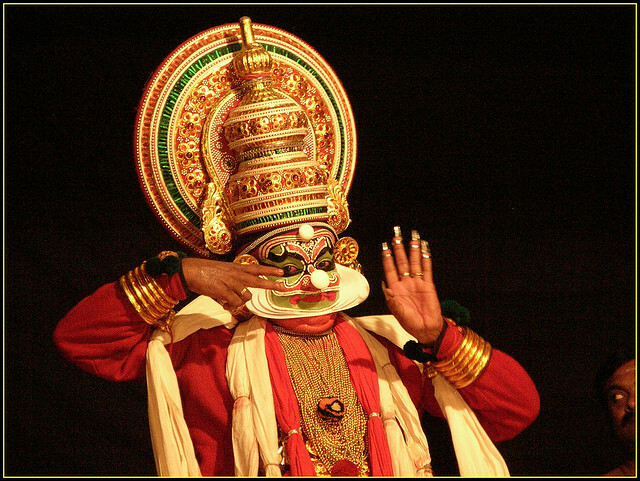 Some dance forms like Kathakalli and Oddissi too tell stories to the people who have never entered a formal schooling system. Can we harness the power of stories to take education to the remotest parts of the world, while maintaining the context that the people of these places understand and know? Can we create a world of young storytellers who will be able to empathize with people from diverse cultures, diverse backgrounds and exchange stories to create meaning of the world they inhabit? This entry was posted in Recent Thoughtstorms, Uncategorized on May 12, 2013 by admin. How many times do you visit www.amazon.com and check the ratings that books have received? Ratings correspond with the perceived value of a product, and they can help learners to assess the worth of the courses they intend to take. Also, viewing how others have rated a course can motivate learners to “look inside” the course. If learners find your courses invigorating and useful, they will automatically make time to write about them and to recommend them to peers. Showing favorable and critical reviews adds authenticity to your offerings. It also makes learners interact with each other in a positive way through the means of a course. If in your organization most learners who took a Selling Skills course also took a course on Communication Skills, then this information will most likely benefit others too. These “affinity recommendations” make it easier for learners to reach beneficial content. When used appropriately, it can be a revolutionary way to replace a fixed curriculum with a loosely coupled set of learner centric courses or learning objects. 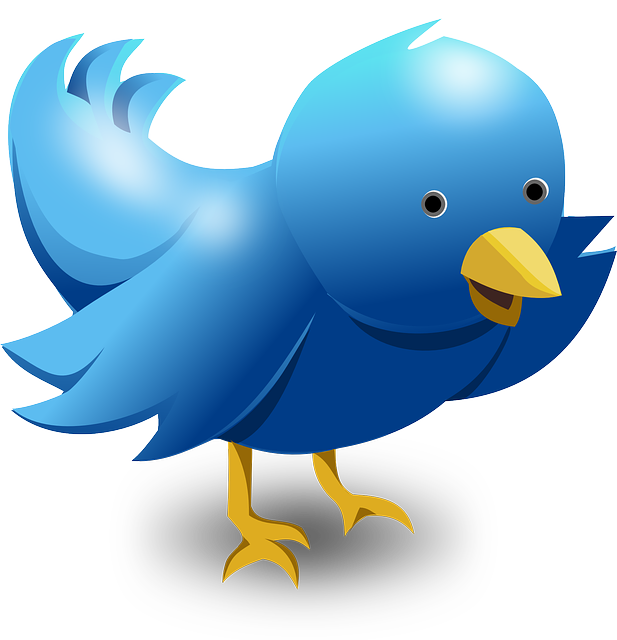 Giving out information about industry subject matter experts, their Twitter address, blogs, and so on can help an enthusiastic learner to dig out more information on the subject. If you can get learners to connect with experts you will have turned them into life-long learners. Average Time on Page: This is the amount of time that learners spend on each page of the course. Exit Rate: This indicates the percentage of people that drop out of a page having spent less than 10 seconds on it. Page Per View: This shows the number of pages viewed by each learner in every session. Also, ensure that the course delivers what it claims to deliver. Nothing damages reputation like building expectations and then not delivering up to them. Like the advertisers, be present at the right time, at the right place, and get noticed often. Plan the media you will use, the messages you’ll send out, and the number of times you’ll reach your audience (the learners). For example a poster in an elevator can get you a captive audience. If your communication promises fun and end of ignorance, then deliver just that. For online courses, opening up opportunities to learn from a group of people and experts online, to solve real life problems, and to merge learning and work will most likely make learning fun and relevant. Silo-like, SCORM compliant courses won’t be required if the success criteria for the courses have been redefined (as described above). With the new criteria you can create an experience that learners will cherish. Do the learners who take your courses (online or live) talk about the courses in their life or while at work? This is an immeasurable test of the success of your course. Like famous advertisements, the characters, the examples, the situations, the activities from your courses should become a part of the day-to-day vocabulary of your learners. They should motivate the learners to participate in and to contribute to what you offer. Your courses need to generate reviews (appreciation or criticism) and you will know that you’ve done your job well, and reached out to the audience the way the marketers do. You’ve sold change. This work by Design Storm is licensed under a Creative Commons Attribution-NonCommercial-NoDerivs 3.0 Unported License. This entry was posted in Recent Thoughtstorms, Uncategorized and tagged Advertising, Amazon, Assessment, Assessment Criteria, Course Success Criteria, Learning, Marketers on March 15, 2013 by admin.